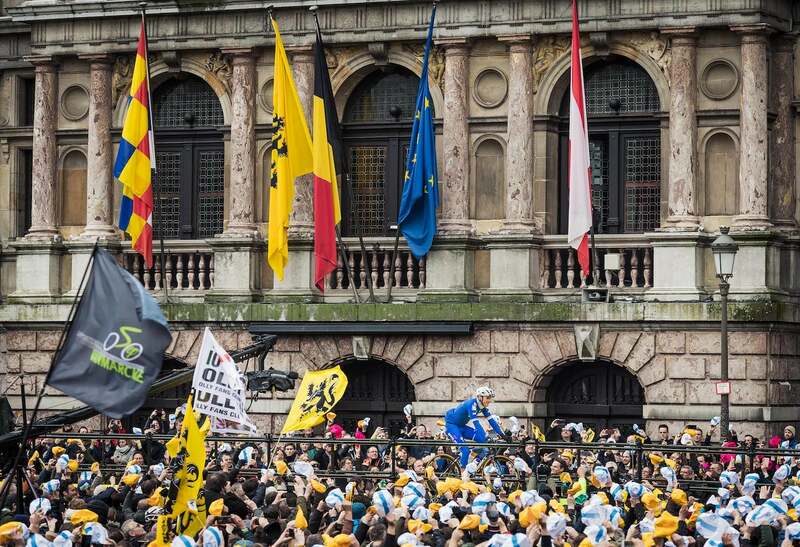 There was a much-overlooked scene at the start of the Tour of Flanders in Antwerp last year. 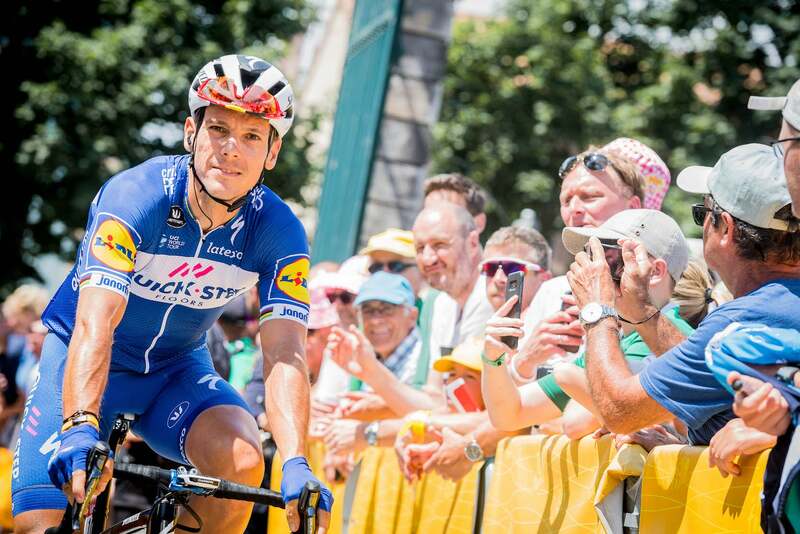 As the television cameras homed in on Peter Sagan and Greg Van Avermaet, the two big pre-race favorites, the race’s defending champion, Philippe Gilbert, waited several rows back, out of the limelight. 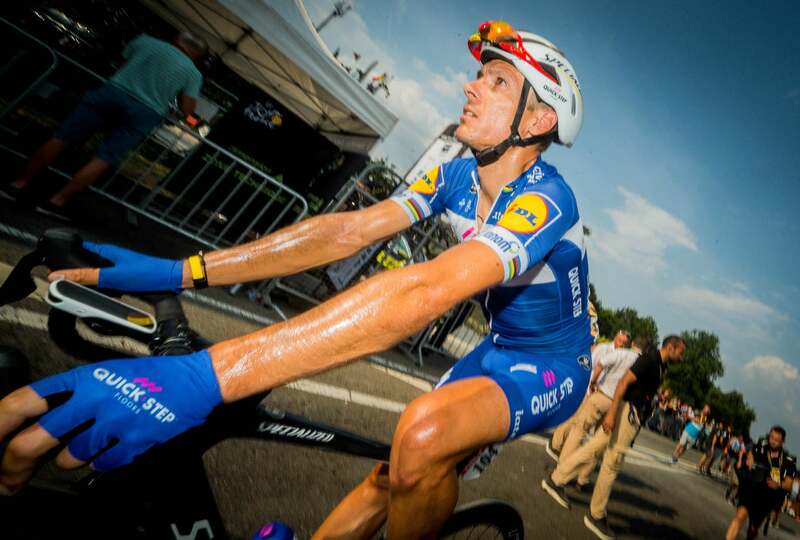 In what can only be described as uncanny, Gilbert does not enter into European cycling’s star system even though the 36-year-old Belgian is the winningest classics rider of his generation. 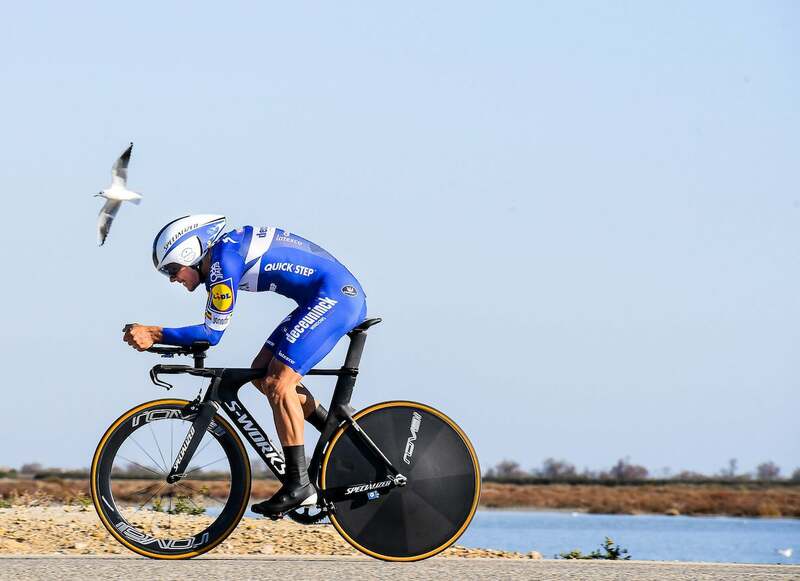 Perhaps because many of his greatest victories came before the age of Instagram, or perhaps simply because Gilbert is too busy racing his bike, he remains one of the sport’s most uncelebrated champions. No, he does not win a ton of races. But he wins consistently and he wins big. His palmarès includes three of cycling’s monuments—Flanders, Liège–Bastogne–Liège and the Tour of Lombardy (which he won twice). 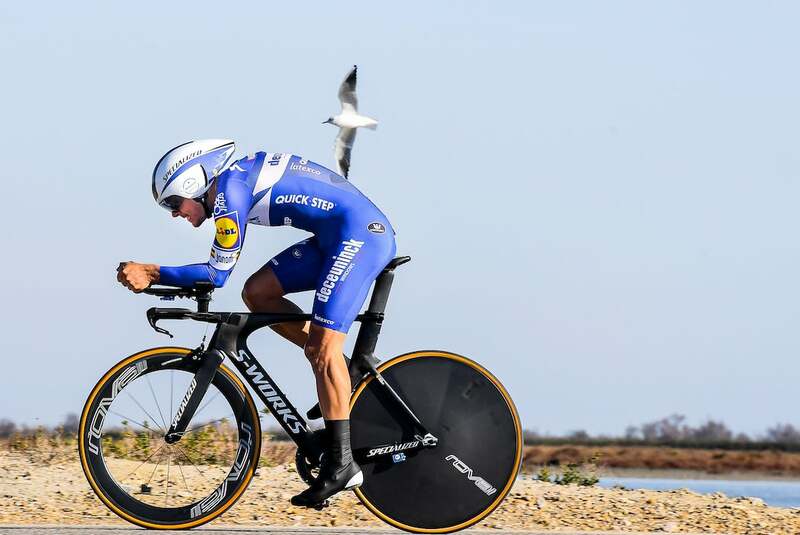 And the Deceuninck-Quick Step rider still has his eyes on the last two of those monuments, Milan–San Remo and Paris–Roubaix, in his quest to become the first rider in modern history to win all five. We caught up with the amiable Belgian to look back over his career, not to mention that astonishing Flanders win just two years ago. PELOTON Magazine: Philippe, you are the winningest classics rider in activity with four monuments and 17 classics in all…and counting. Are you even aware of this? Is this something you think about? 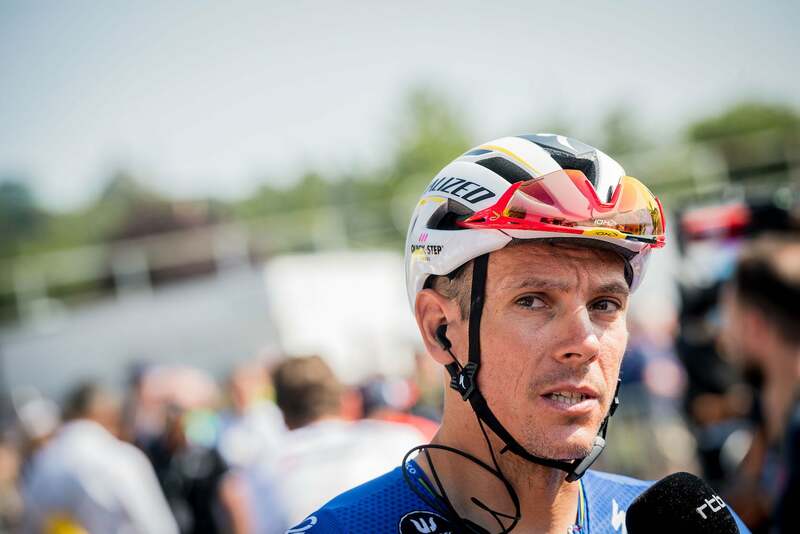 Philippe Gilbert: Oh, sometimes it is hard to realize that I have won so much. Of course, I would like to have even more wins, especially in a race like Milan-San Remo. That is a race I would really like to win sometime. But fortunately, I don’t have a second-place finish where I said to myself, “Man, I really made a mistake. I should have won that!” I feel like I got all of my races by giving 100 percent. 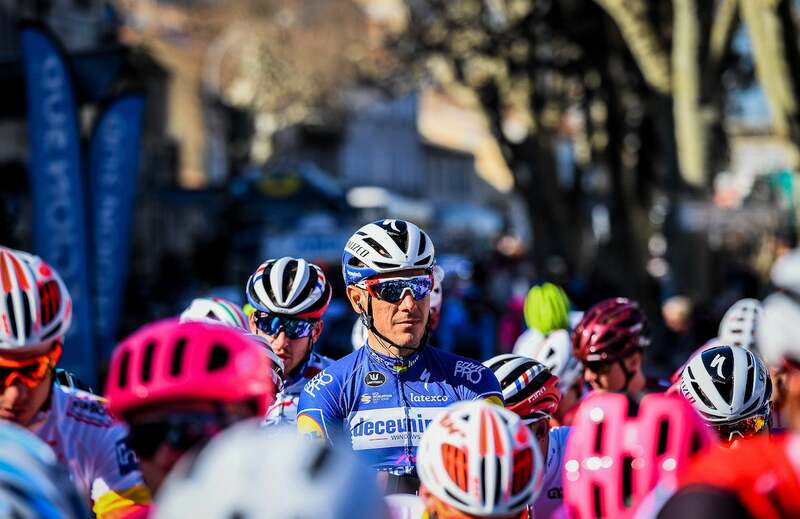 PELOTON: Well, you have always been considered a master tactician and that was perhaps never as evident as when you won the Tour of Flanders two years ago in a long solo break. 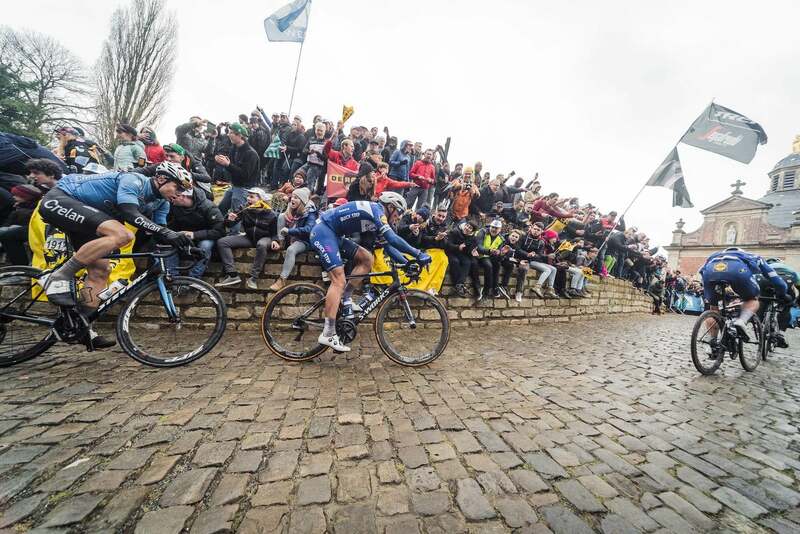 Okay, I have to ask you the question that you have probably most been asked: Would you have won that Flanders race if Sagan and Van Avermaet hadn’t crashed on the Oude Kwaremont in full chase mode on the last lap of the race? Gilbert: Yeah, yeah! 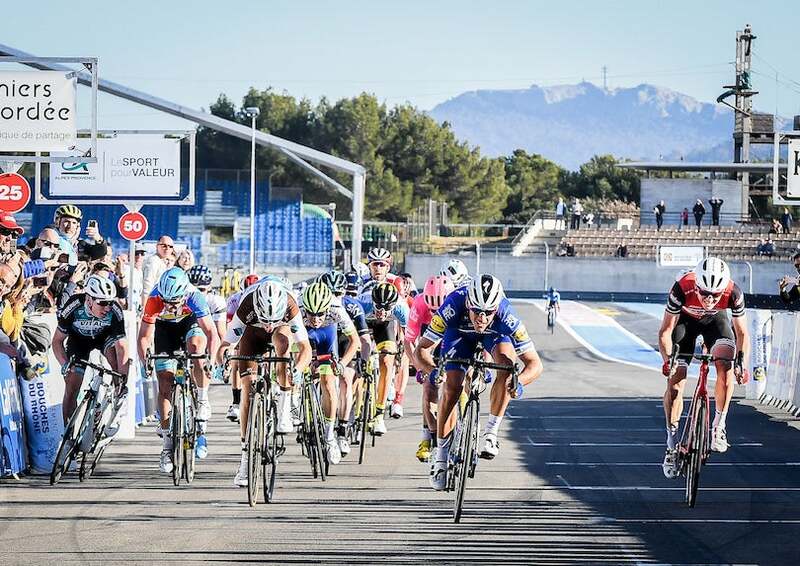 The thing is, even when it looks as though a breakaway might get caught, well, the problem is always, who is going to close that last gap? You see it in the Tour de France whenever a breakaway gets 10 minutes. The pack can bring the gap down to one minute, even 30 seconds really easily. But the last minute is hard to get. The last 30 seconds is even harder. And the last 100 meters is really hard. And we are talking about stages where the team leaders have teammates still to do the work. But when it is up to the team leaders to close the gap, it is even more difficult. 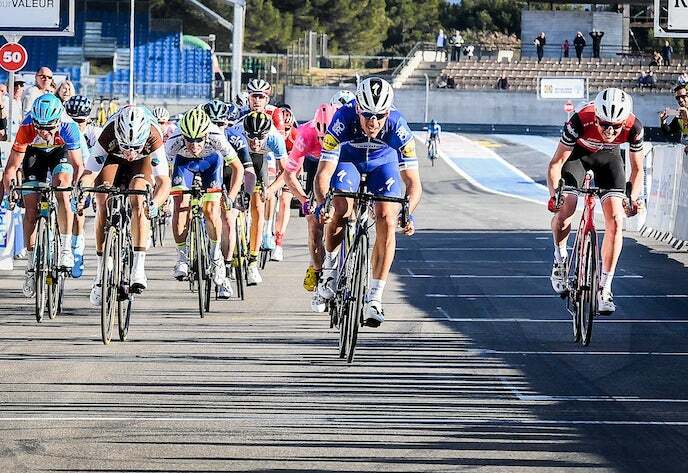 When you are just two or three riders trying to close that last gap, who is going to do that big effort to close it? Because the last effort costs the most energy and then you expose yourself to a counterattack. If you have a teammate, that is one thing. You can tell him to close that gap for you. But when it is just the leaders, well, they are not going to do it for each other. I know. I have been in that position many times. And also, when I look back on the images from TV, I did not get the sense that the guys behind were closing the gap. PELOTON: When you attacked that day, were you attacking to win or mostly to set up your teammate Tom Boonen for the finale? Gilbert: Well, first we made a big move on the Muur in Geraardsbergen to make a selection. That put us in a really good situation, but there were still like 100 kilometers of racing. Then on the Kwaremont I told my teammates that I wanted to speed up again and make a selection because there were still too many people sitting in. 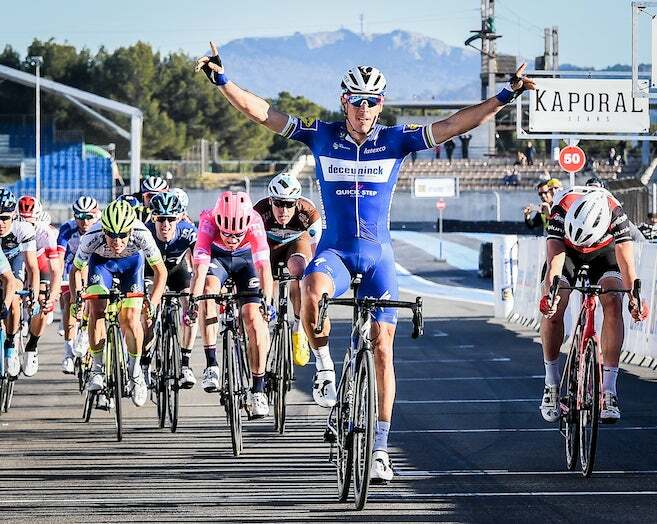 First Boonen went and then Matteo Trentin went, and finally I went. I was just trying to force more of a selection, but then I had a gap and just started going. PELOTON: Well, when did you think that you could actually win that Flanders? Gilbert: Oh, I’m not sure. It was hard to get clear information from the cars and the race radio. I kept asking but I couldn’t get a clear answer. So I just started going at 90 percent, because I was still a long way out. But I was gaining time. I knew the course perfectly and I remember telling myself that, when I hit the Koppenberg, I would just start going full gas. And that’s what I did. From the top of the Koppenberg, you can see from the images, that I really started my race there. And that is where I think I broke the morale of the guys behind me because, up until then, I had been riding with about a minute’s gap. And then suddenly I had like one minute 20 seconds. I know that feeling when you are chasing behind full gas and then suddenly the guy in front takes 20 seconds out of you. Then you start having doubts. Then you start losing confidence. I was having trouble figuring it out, but I got that info from a soigneur on the side of the road. PELOTON: Wow! It’s amazing the kinds of calculations you are making while going full gas in one of the absolutely hardest races in the world! Gilbert: Yeah, but again, I knew the course perfectly. I knew the wind direction. I knew exactly where you needed to save time and where you needed to gain time. 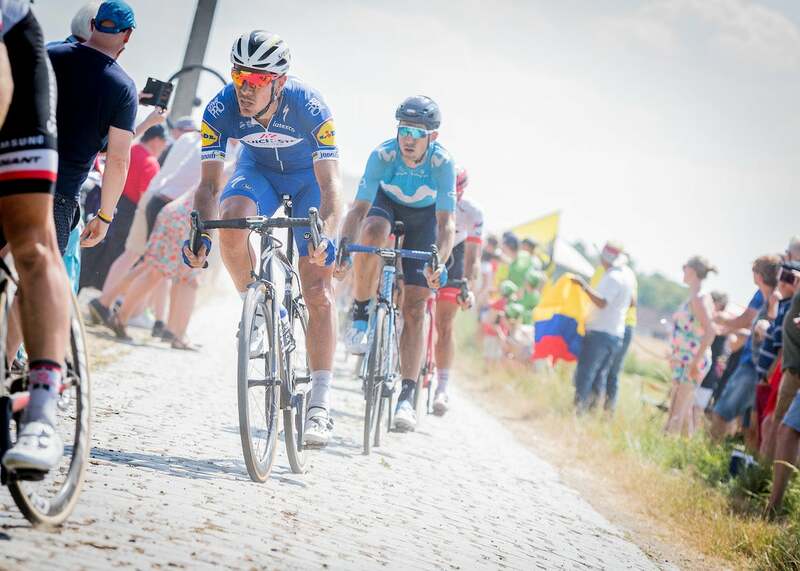 PELOTON: I remember once you told me that you would maybe focus on Paris–Roubaix later in your career, when you were older. But you are 36 now so I guess it is time. Last year you did if for the first time. What were your first impressions? Is it a race you can also add to your long list of victories? Gilbert: Oh yeah, for sure. You really need the endurance and experience that you gain over the age of 30. I rode it last year. I was good, but I missed a feed and had a 20-minute period where I was not so good. And that was it. The race was over. In the end of the race, I was racing even faster than the leaders, but I was behind them. That gives me hope, and I will be back again this year. 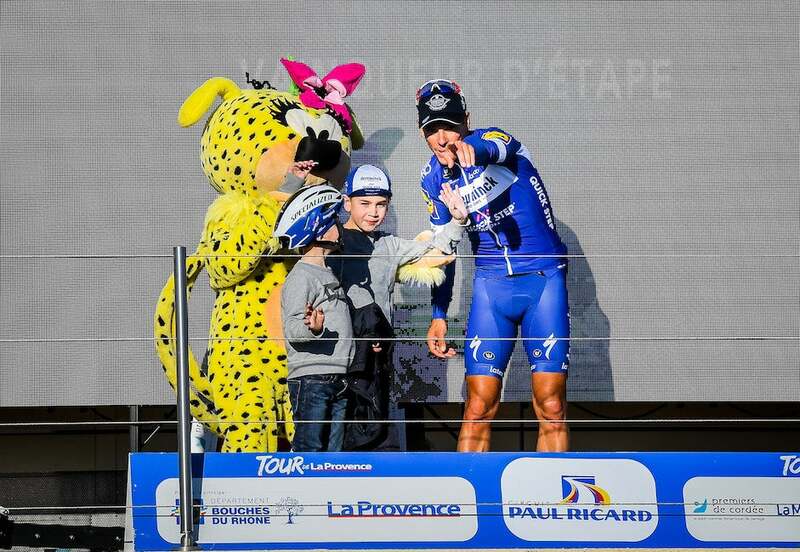 PELOTON: And is it doable if you line up for the Ardennes classics right afterward Roubaix? Gilbert: Yeah, yeah. It is not easy. But it is a good challenge, one that motivates me.